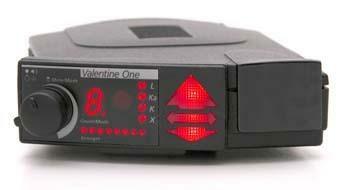 If you’re into cars, driving fast, or just technology in general you’ve likely heard of the Valentine 1 radar detector. It’s widely accepted to be the premier radar detector on the market, and few people question this status. I got to thinking about what makes it so great, though, and my conclusion was startling. Evidently, the entire reason the Valentine is supposed to be so good is because it can show you whether a cop is in front of you or behind you. The entire idea is to have the ability to respond differently based on where the radar is coming from. What? Who in their right mind is going to respond differently based on the direction radar is coming from? Seriously, what are the options here? You’re going down a road listening to some music and all of a sudden you get hit with radar from the front. What do you do? Yeah, slow down. Ok, so now you’re on the same road and you get hit with radar from the rear. Now what? Is this the Dukes of Hazzard? Cannonball Run? You’re still going to slow down unless you participate in an alternate reality. I fail to see how showing you the direction of the radar helps *anything* for someone not wanting to get tickets in the real world. The prospect of accelerating if you know a cop is behind you is just asinine in the extreme. So sell me on better detection. Sell me on less false positives. But don’t put a big ugly arrow on the front and tell me that knowing where the radar is coming from matters. It doesn’t. If I’m speeding and I get hit by radar — I’m slowing down.